Loyalty cards, something we always get asked if we want for that so called 'one off' discount every time we go shopping. Although I'm still waiting on Zara to have some kind of loyalty card, or Topshop for that matter - I'm pretty darn happy with some of the cards I have got. For those Coffee Lovers out of you - of course, there's going to be a Costa Coffee Club popping up in the edit. In terms of getting free coffee's, I'm not really sure where I'm at on this, but I probably can't count on one hand (maybe even two) that I've used this bad boy. Costa's Christmas drinks will definitely be upping these points over the next couple of months... Oh yes. Now, the more 'tight' version of the two is Caffe Nero's Loyalty Card which is basically a stamp overtime you go. I always forget to use this one, but it's a great way to get a free coffee if you're a regular. I'm more of a Costa and Starbucks gal at heart so this one gets a little negelected but sure, if you're a regular to Caffe Nero then pick one of those up because a free Coffee after 9 cups, might as well. Beauty ladies - I've most definitely saved the best until last. 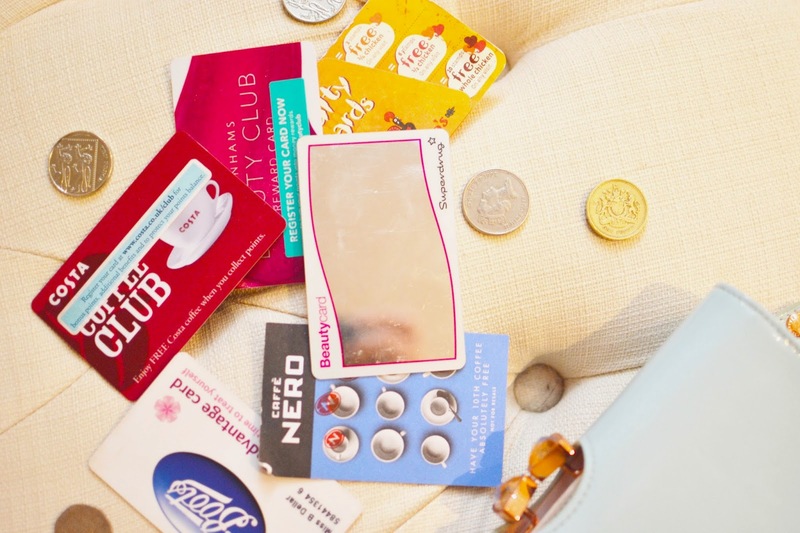 Now on my recent trip to Debehams, I picked up the Debenhams Beauty Card because I'd ordered many, many, many times online with everything from Mac to Urban Decay to Origins... the whole shabang but didn't have a beauty card to add it to. (even my Clarisonic, I was sad to wave goodbye to those points... dang). But this one has served me well, and is great if you purchase your fragrances from there too. Have you got any loyalty cards? BLOGGING | WHY DO YOU DO IT?